Gooding has been in New Orleans filming "The Butler," a movie about a White House butler who serves eight American presidents. On Tuesday, police issued an arrest warrant for the 44-year-old Gooding on a misdemeanor charge of municipal battery. 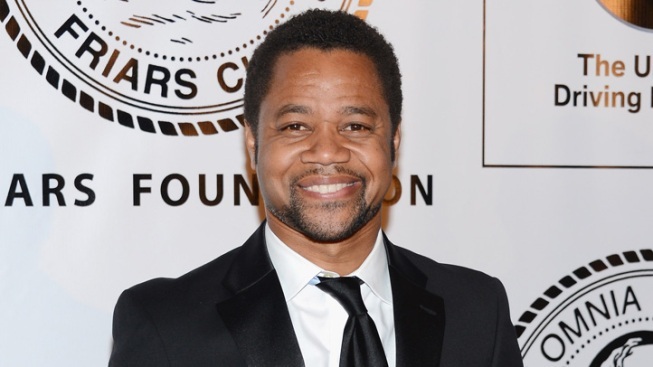 A bartender who claimed that Academy Award-winning actor Cuba Gooding Jr. pushed her doesn't plan to pursue criminal charges against him, managers at a New Orleans bar said Wednesday. On Tuesday, police issued an arrest warrant on a misdemeanor charge of municipal battery for the 44-year-old Gooding. Police say the bartender at the century-old Old Absinthe House told them that Gooding became upset after patrons started asking him to pose for photos with them at about 3 a.m. The bartender told investigators that Gooding pushed her after she asked him to calm down and again after she told him he should leave and that police had been called. However, in a statement to The Associated Press, the French Quarter bar said its employee wouldn't press the case. "The witness indeed has indicated that she is likely to drop the charges," said Ryan Berni, a city spokesman. "If she does, and after prosecutors review the evidence, a determination will be made as to whether to dismiss the charges." Berni said Gooding's arraignment is set for Friday. It was not immediately known whether he was required to appear. Calls to Gooding's attorney were not immediately returned, but his publicist, Nancy Kane, told the AP that "Mr. Gooding, his representative and the New Orleans authorities ... are moving swiftly to resolve this misunderstanding." New Orleans police spokeswoman Remi Braden said the arrest warrant was lifted after the summons was issued. Gooding won the 1997 Academy Award for best supporting actor for his portrayal of a fictional pro football player in "Jerry Maguire" starring Tom Cruise. In the film, he utters the now-familiar line to his agent, "Show me the money!" He has been in New Orleans filming "The Butler," a movie about a White House butler who serves eight American presidents. The film has a star-studded cast that includes Nicole Kidman, Liam Neeson, John Cusack, Jane Fonda, Robin Williams, Alex Pettyfer and Minka Kelly. "The Butler" is being directed by Lee Daniels ("Precious" and "Monster's Ball").